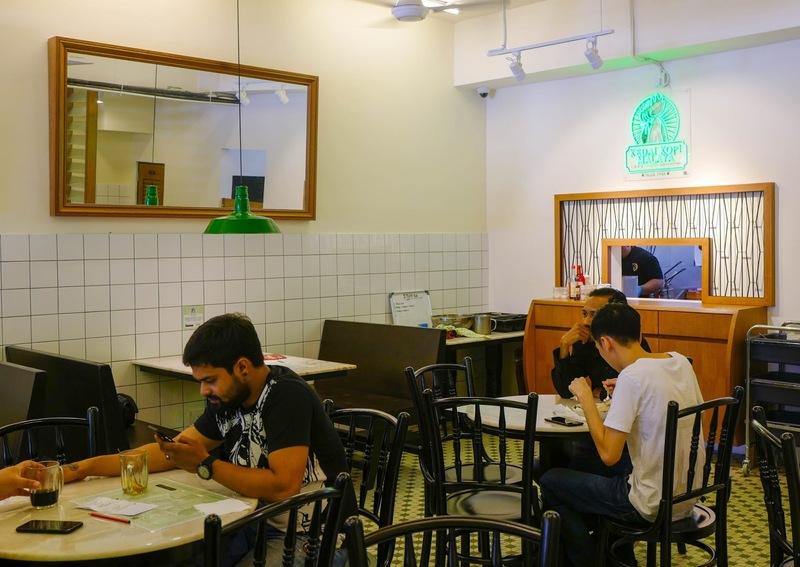 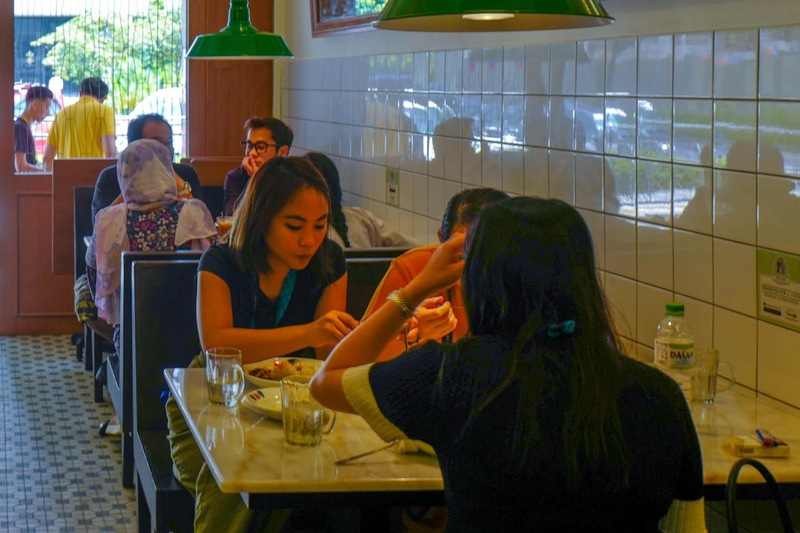 Kedai Kopi Malaya’s heritage echoes back to an era when Malaysia remained Malaya, but its embrace is encouragingly modern, heralding a 21st-century kopitiam for all Malaysians that combines the warm comfort of nostalgia with the cool confidence of a contemporary kitchen. 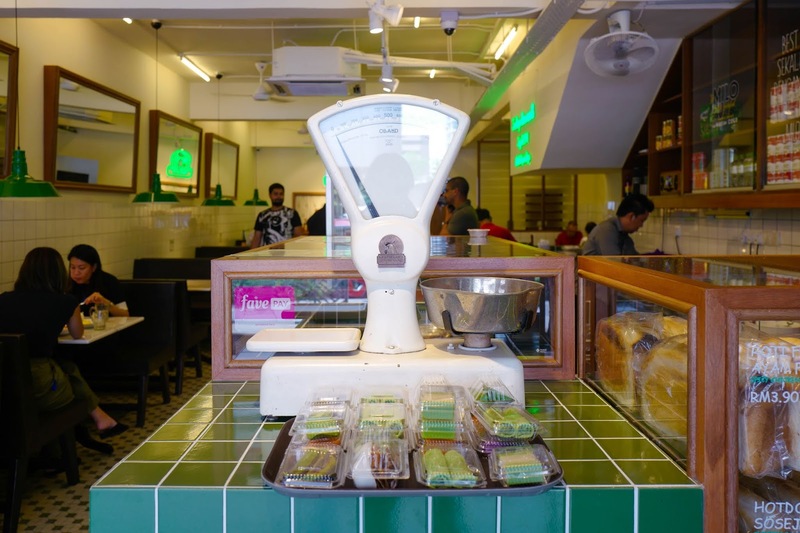 Step inside and the throwback vibes come vividly alive, from marble-top tables to enamel-shaded lighting to a classic weighing machine and traditional floor tiles, from tin biskut kedai runcit to roti kelapa parut and Nyonya angku that line the counter - even the muffled music in the background evokes a radio playing Whitney Houston and Michael Bolton. 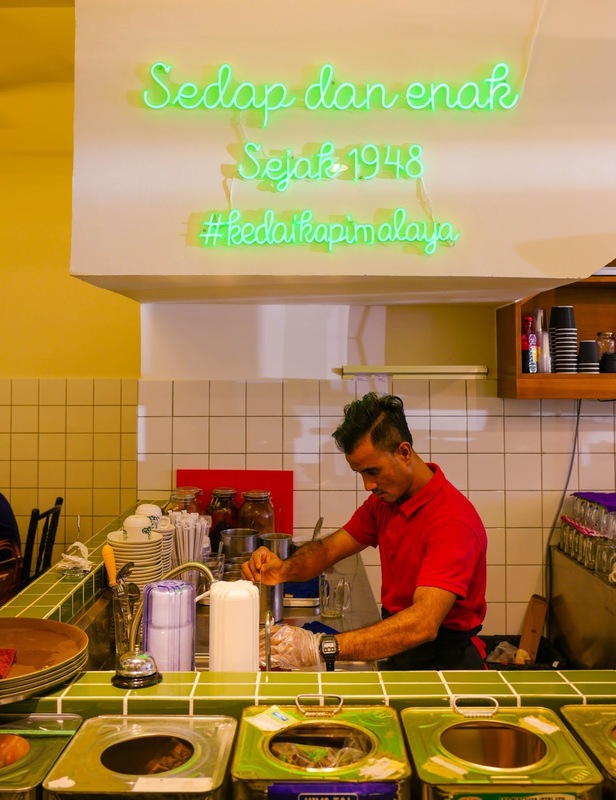 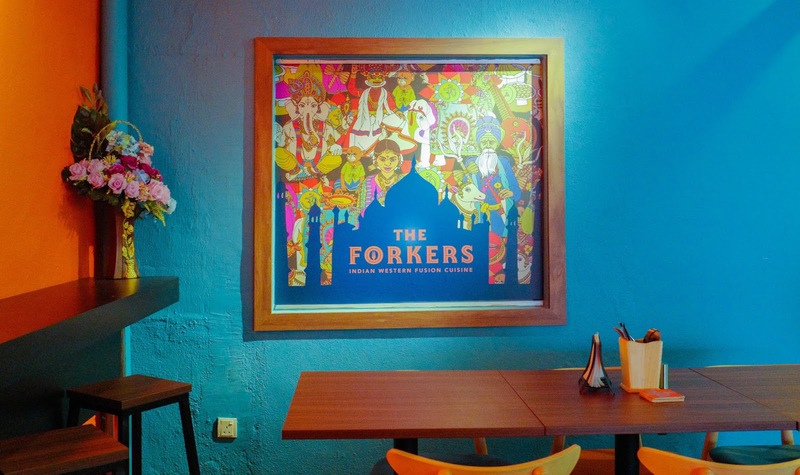 Neon proclamations of 1948 on the wall reflect the year that the grandfather of Kedai Kopi Malaya’s co-founder embarked on the kopitiam trade in Penang; even today, many of his original recipes hold firm at his descendant's eatery. 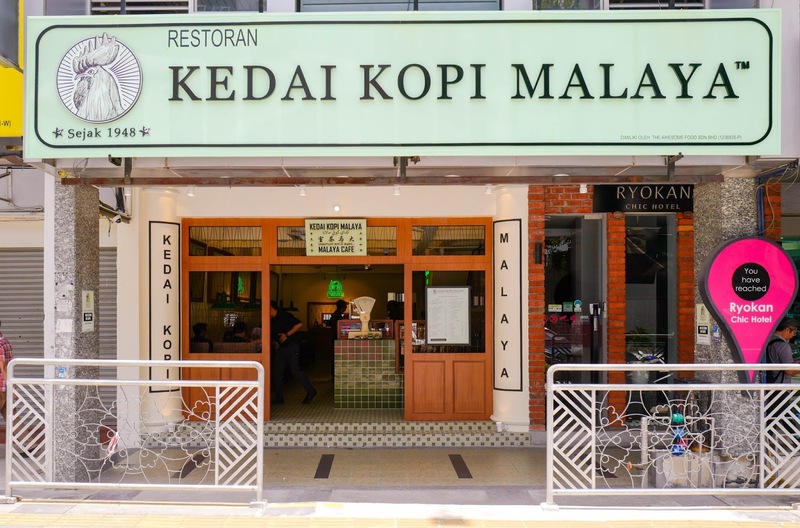 While much has changed in the world three generations later, not always for the better, the signboard at Kedai Kopi Malaya's entrance - emblazoned with multicultural lettering - showcases a spirit of inclusiveness that honours the past and harbours optimism for the future. 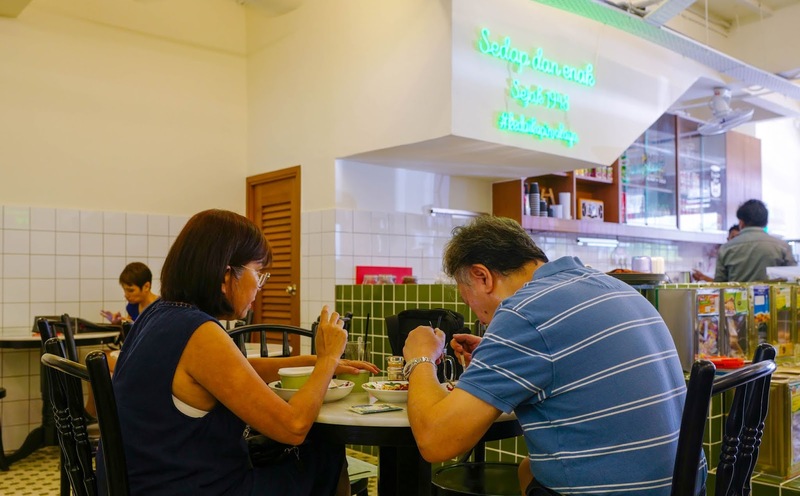 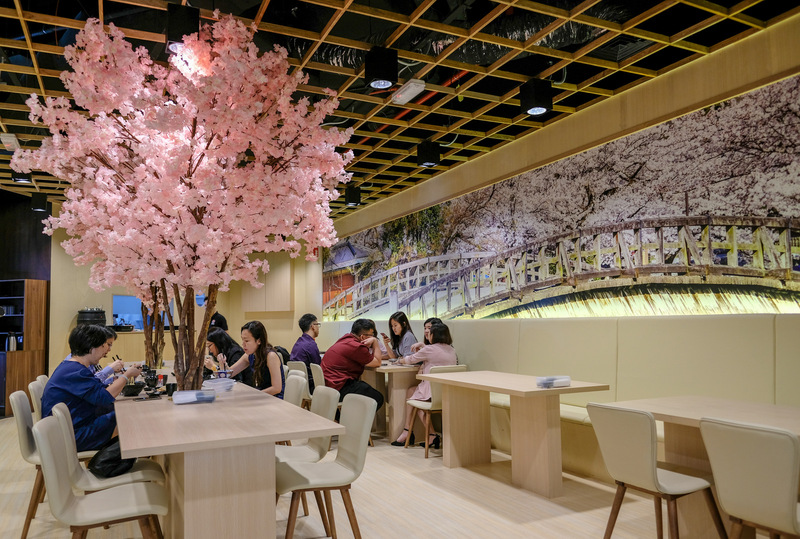 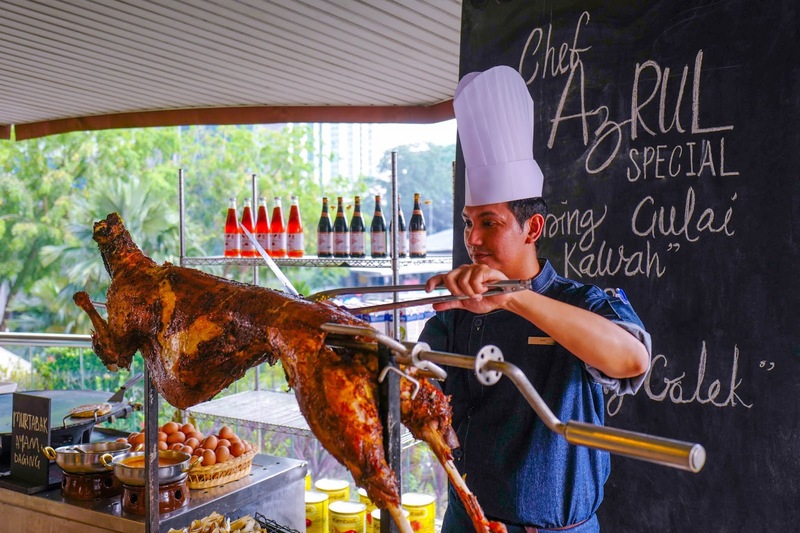 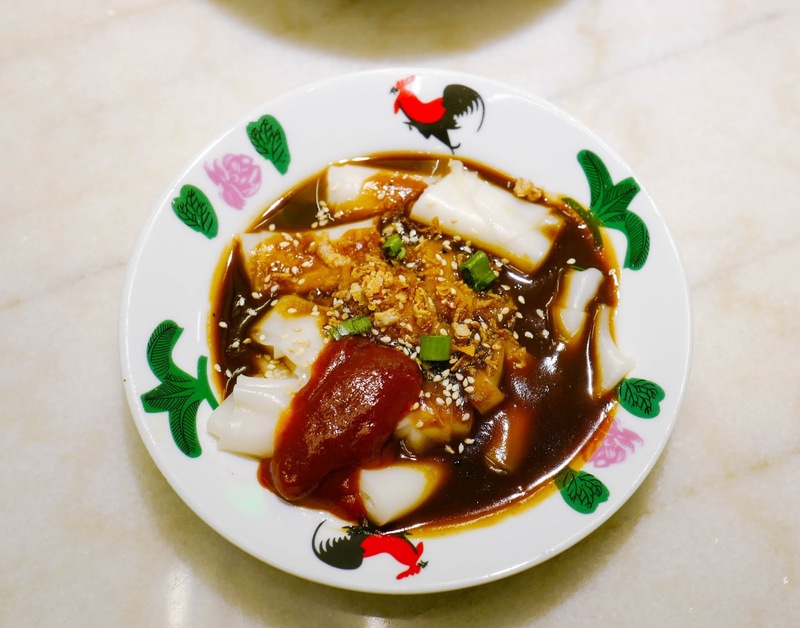 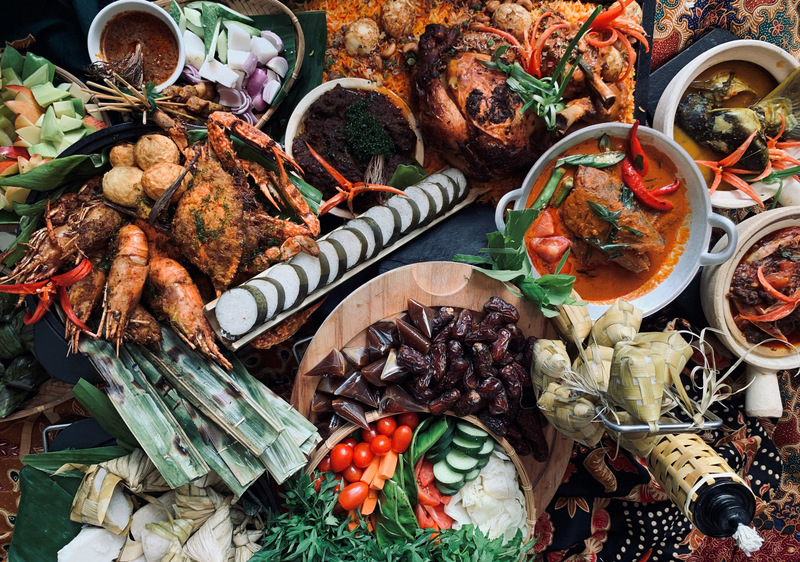 Culinary camaraderie infuses the menu - nasi lemak rubs elbows with mee rebus and chee cheong fun, while fish head curry keeps the conversation going with Hainanese chicken rice and Ipoh hor fun. 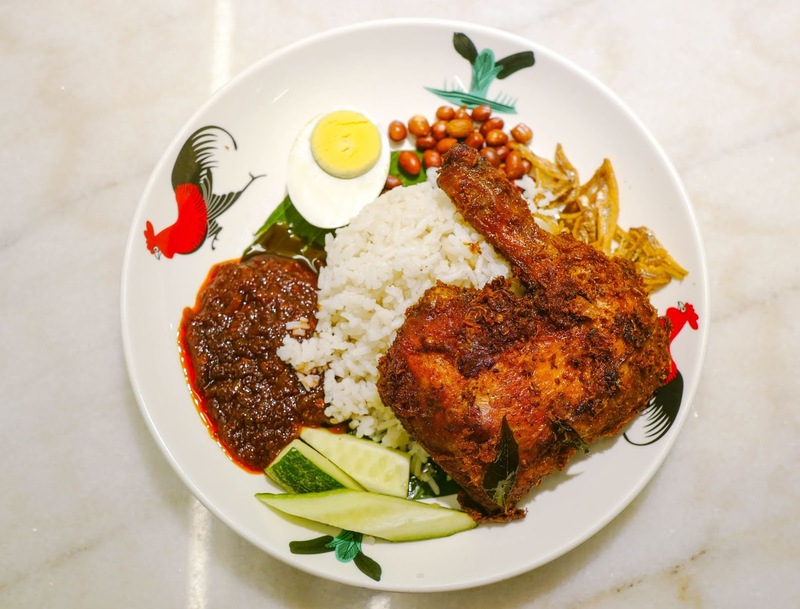 A back-to-basics plate of nasi lemak starts at RM4.90, sufficient for a familiar, fuss-free lunch, but the fun comes in personalising your order with substantial side dishes, a lauk-pauk cornucopia of possibilities like cencaru goreng sambal sumbat, stuffed with robust-tasting, rich-textured chilli paste (RM8.90), sambal kerang (RM5.90), chicken curry, sambal sotong, terung sambal merah and more. 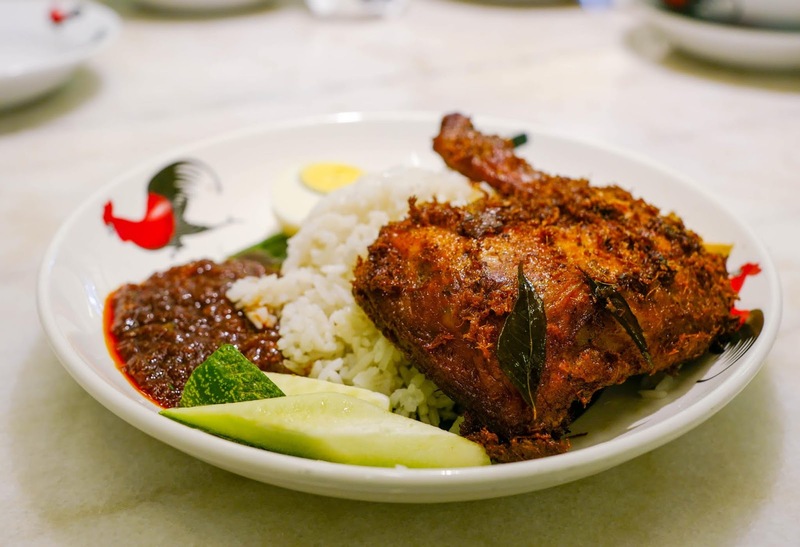 Alternatively, order a with-the-works platter such as the nasi lemak ayam berempah, yielding crisp-skinned chicken with flavourful-to-the-bone spices (RM10.90). 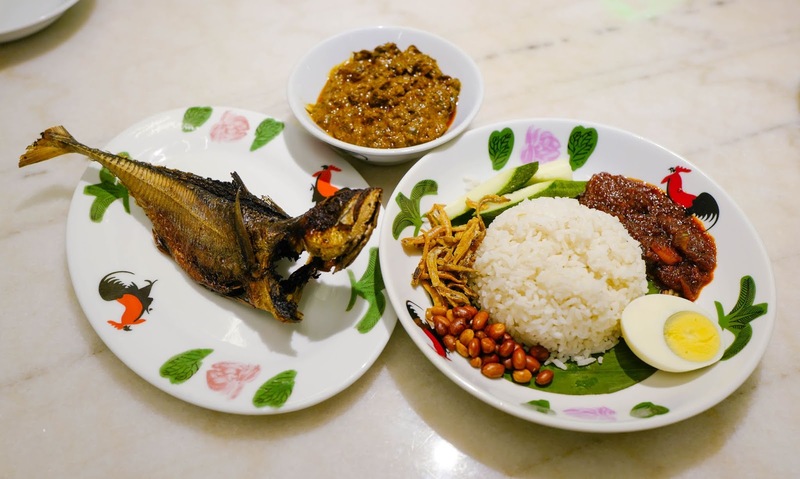 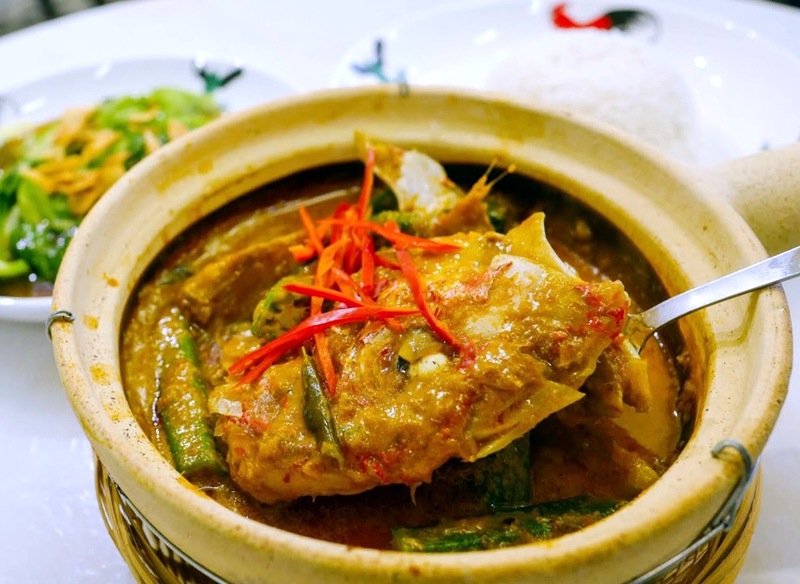 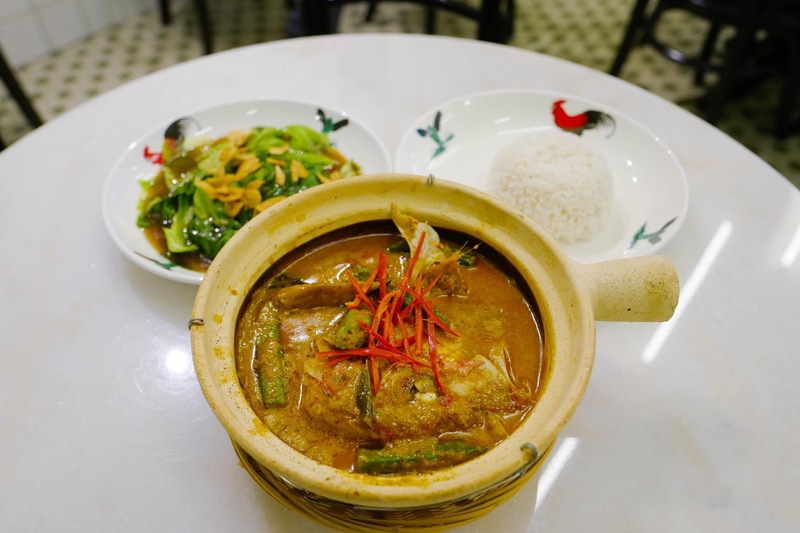 This week, Kedai Kopi Malaya introduces a dinner-only dish that's designed to bring a hearty, soulful close to the workday - the kari kepala ikan (RM39.90 for the portion for two pictured here; RM59.90 for a four-person serving) offers a nod to Nyonya inspirations; each spoonful of the claypot's vegetable-loaded curry is sumptuously creamy, complementing the red snapper head's fresh, flaky sweetness, ideally shared and savoured with steamed rice (RM2.90) and Chinese lettuce (RM5.90). 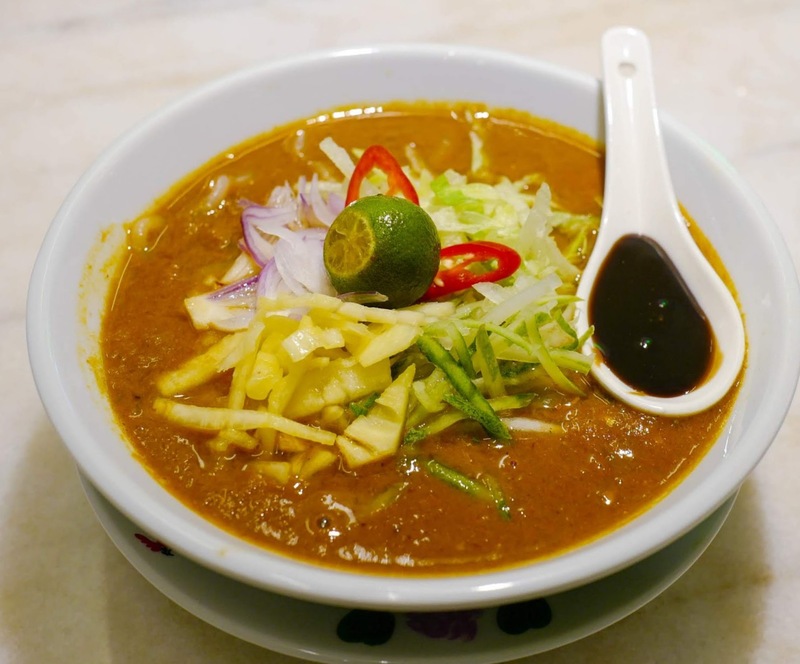 Bonus points to Kedai Kopi Malaya for preparing its own spice mixes, sambals and sauces for its recipes. 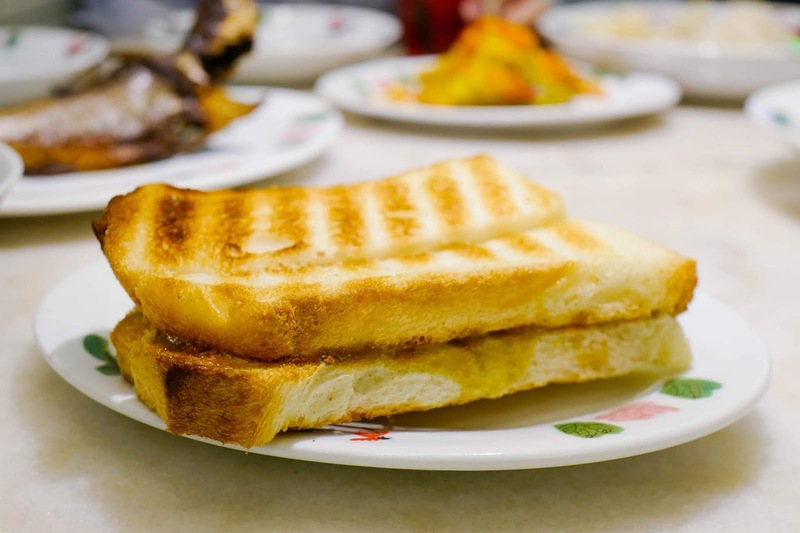 Other meal options might owe their influence to the night markets that run from George Town to KL, from the assam laksa (RM12.90) of, say, Paya Terubong to the chee cheong fun (RM4.90) of Pudu, though breakfast favourites like roti bakar with butter and house-made kaya are also available, buoyed by crowd favourites like kopi c, teh o limau, cham, sirap bandung and Milo Dinosaur. 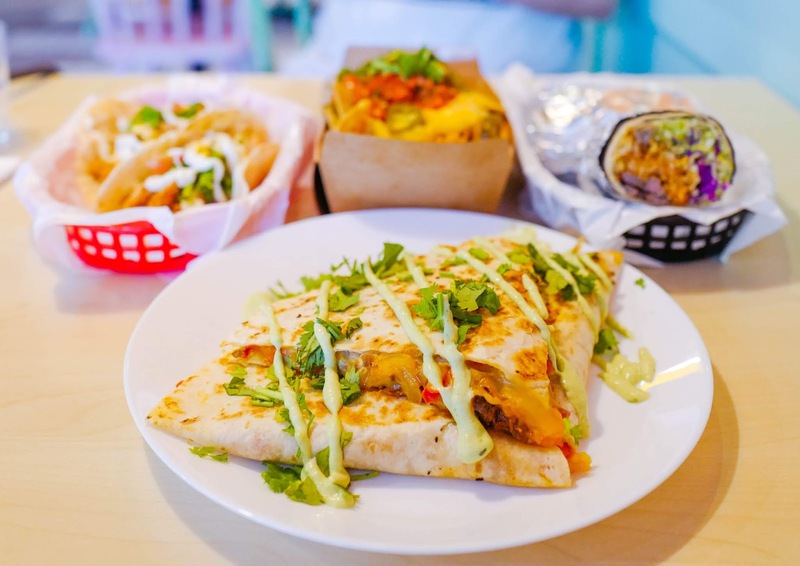 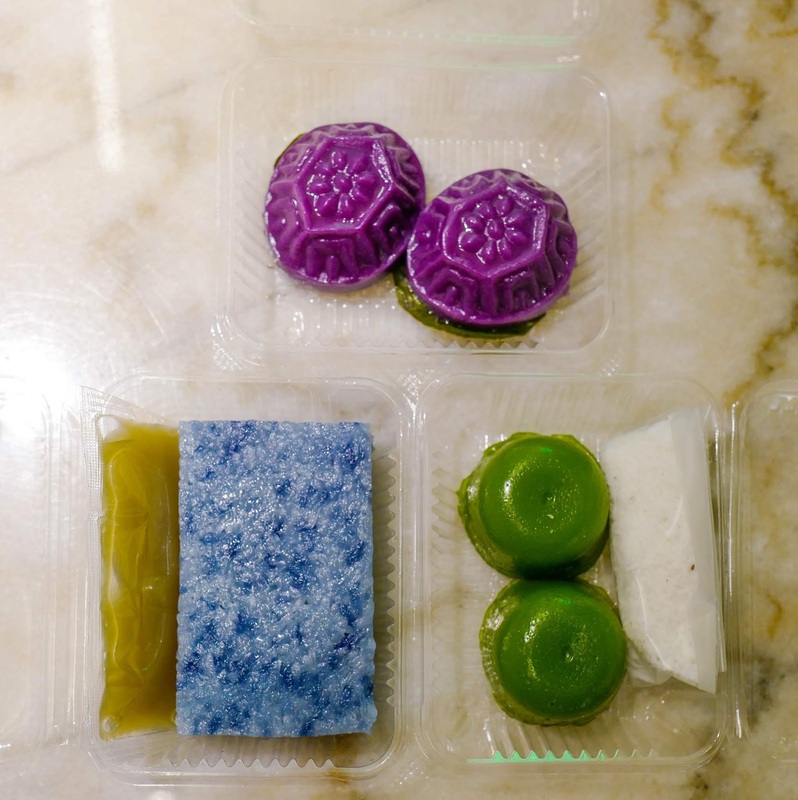 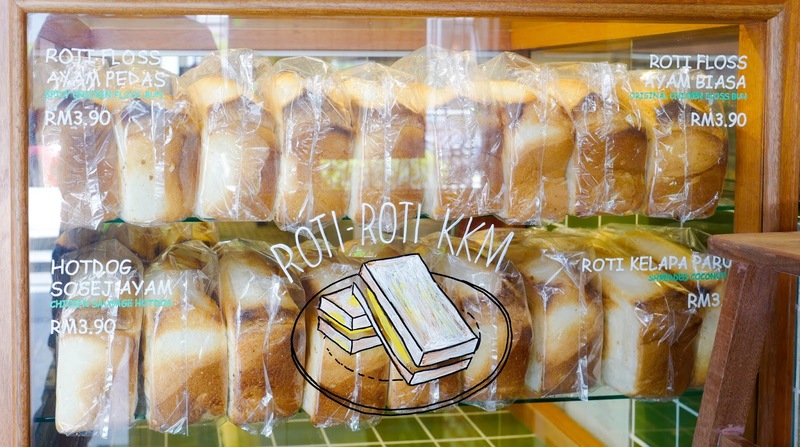 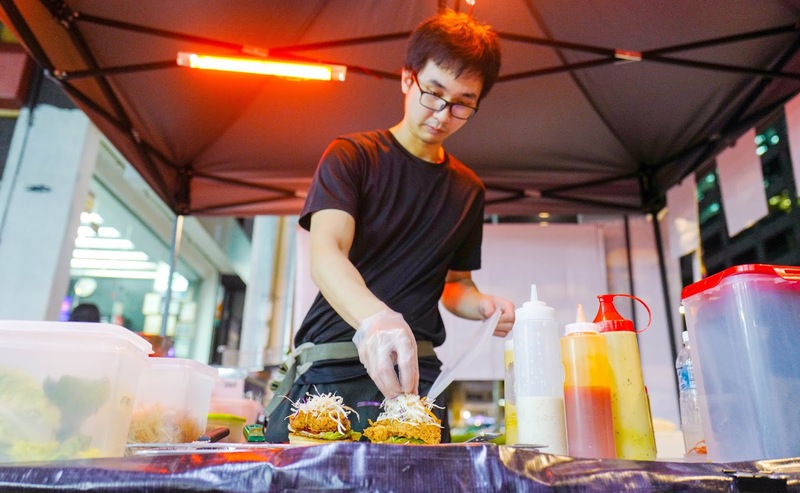 Snacking and takeaway temptations span the roti man's spicy chicken floss bun to the neighbourhood makcik's kuih seri muka, pulut tai-tai and other cheerful, colourful treats. 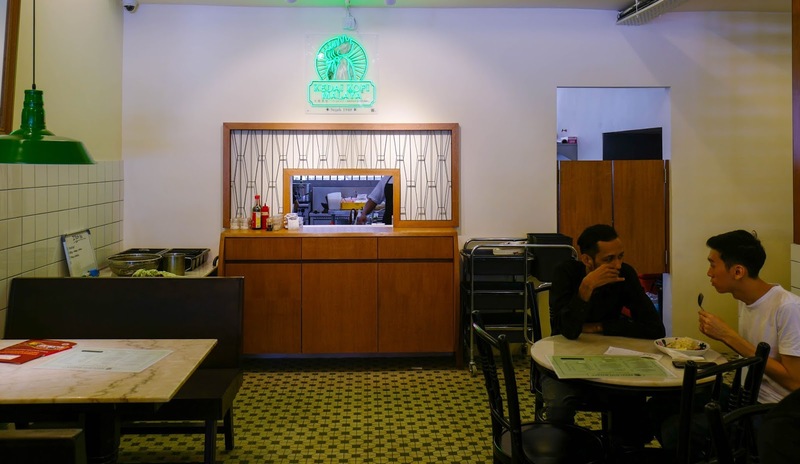 With further outposts slated to open next week at Kerinchi's KL Gateway Mall and subsequently in Mid Valley Megamall, as well as near Masjid Negara and even in KLIA later this year, Kedai Kopi Malaya looks poised to become the Klang Valley's new destination for old-school kopitiam fans. 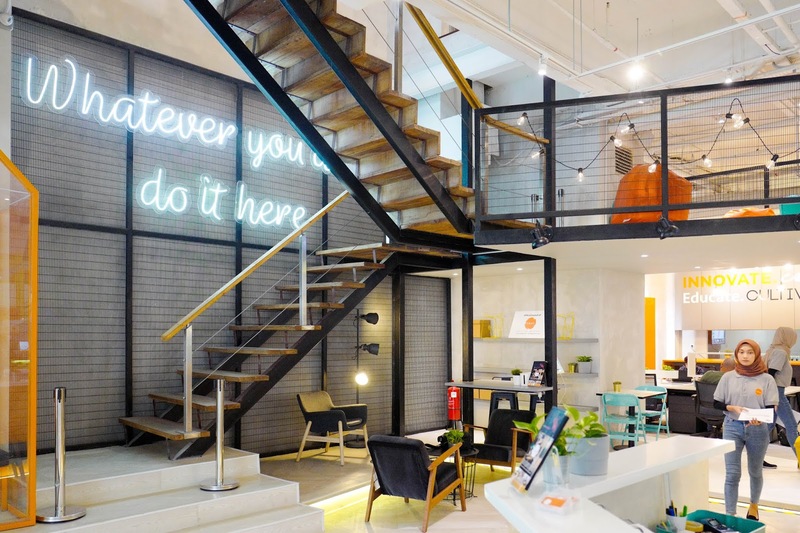 Many thanks to the team here for having us. 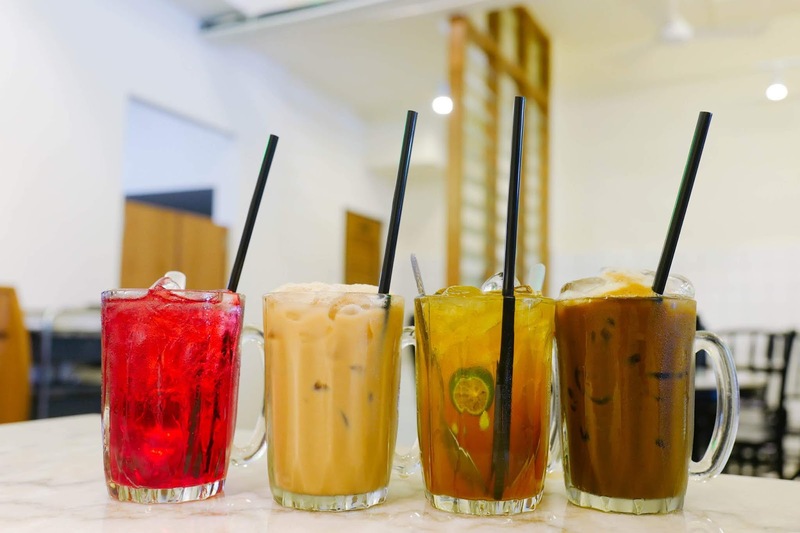 97, Jalan SS21/37, Damansara Utama, Petaling Jaya, 47400 Selangor. 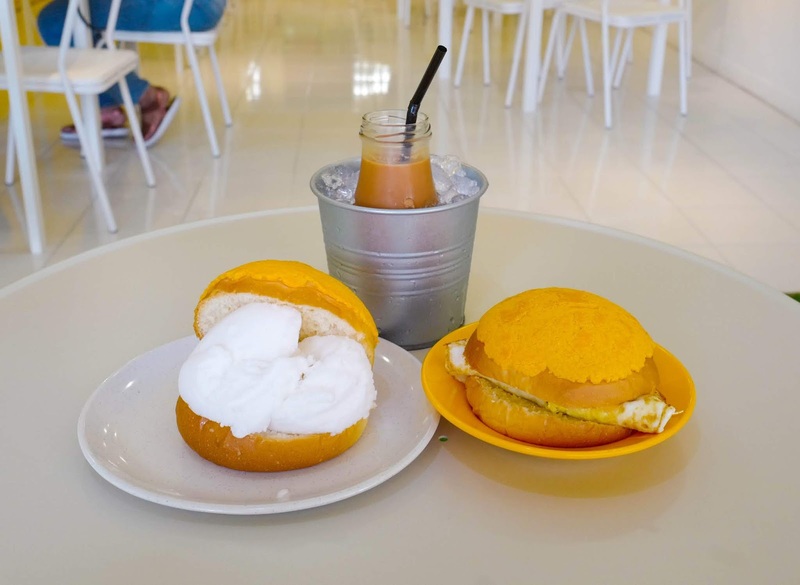 Daily, 8am-10pm.